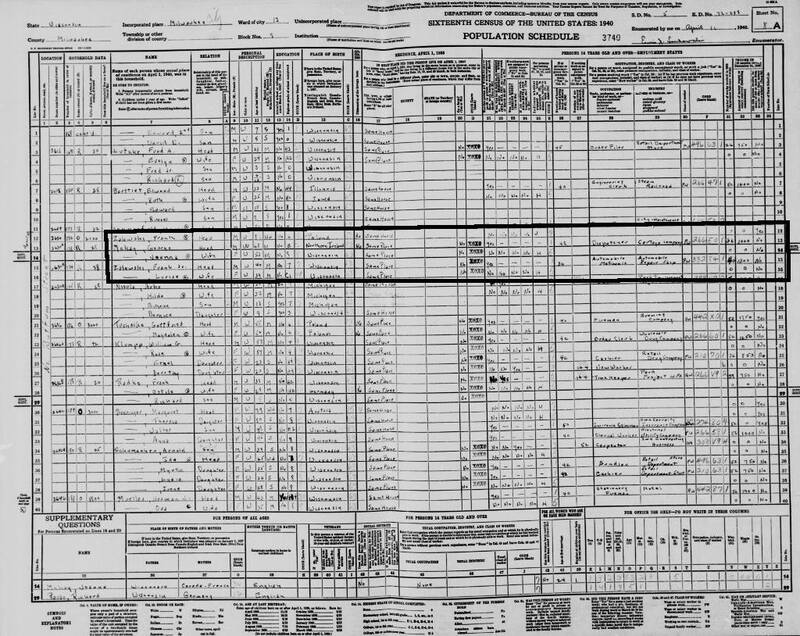 How can I go through this week without a post about the 1940 Census? The digital images were released on Monday, April 2nd free for everyone, though I personally never got to see them until late on Monday night. I don’t think they expected as much traffic as they got on day one. I heard somewhere around 37 million visits on Monday alone. It was no surprise to me. I wasn’t expecting to be able to view the images right away. I’ve been through my fair share of first day launches with things like MMORPGs and other websites to know not to expect much on the first day. Since the 1940 Census was just released on Monday, there is no name index created, so you cannot search by name. There is currently a massive indexing project going on, that anyone (including you) can help with, that will hopefully bring us this index soon. You need to know the Enumeration District where your ancestors lived in 1940 and browse page by page through it. If you do not know the 1940 Census ED, the website has a nice little form that will convert the ED from the 1930 Census to the ED in the 1940 Census. 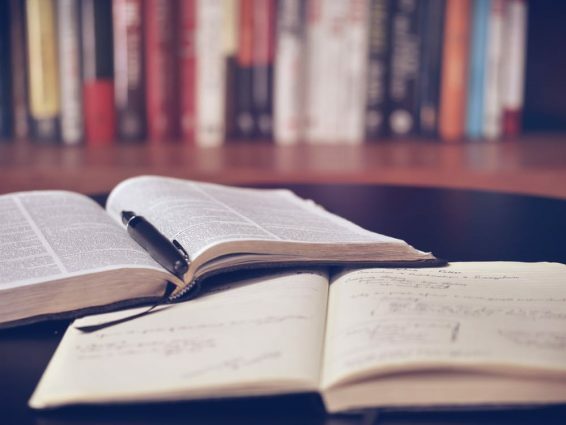 In my experience, most EDs are only 30 pages are so on average. Though, when I was able to access the images, I was pleasantly surprised to find out I could download the entire Enumeration District to browse via my own computer instead on needing to browse one-by-one online. I was able to find all four of my grandparents pretty quickly since I knew where they lived in 1940 and also my great-grandparents at the same time due to the fact that my grandparents were all in their teens. 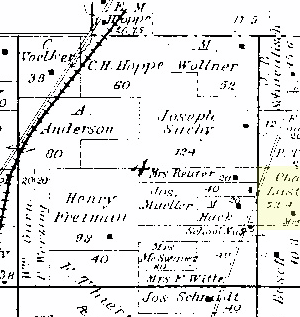 I also ran across my great-great-grandmother from the same area as one of my grandparents. The first image I found is below. I found my grandfather, Richard ZALEWSKI, living near his grandfather, Frank, in Milwaukee, his dad working as a Milwaukee Police Officer. I found my grandmother, Mary Jane CORRIGAN, living in Kingsford, Michigan, her dad working as a machine operator at the Ford Motor Company. I found my other grandfather living in Grafton, Wisconsin and my other grandmother living in Port Washington, Wisconsin. I am currently trying to find my wife’s grandparents. Her paternal grandfather giving me some trouble since I didn’t find him in the ED he lived in in 1930. He was also 21 at the time, so he could be living as a boarder, etc if he is out on his own. I’m just getting started digging for my family and I also hope to do some indexing soon enough. I know the indexes will help me in the future, why not help everyone else by creating it? 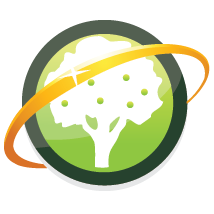 With the change in the way I built my “Everything I Know” sites, I added a new one. This one is about my maternal great-great grandfather, Johann THIELKE. This is the first one I’ve done on my maternal line. It’s also actually the first one I’ve done with not a lot of information. The first two I did, for Frank ZALEWSKI and Mathias FIRMENICH actually had a good deal of information. After doing this one for Johann, I started to notice how much info I didn’t have. I’m hoping the site will help me find more information or more avenues to research. Take a look at the Johann THIELKE site or even browse the other sites I’ve done. 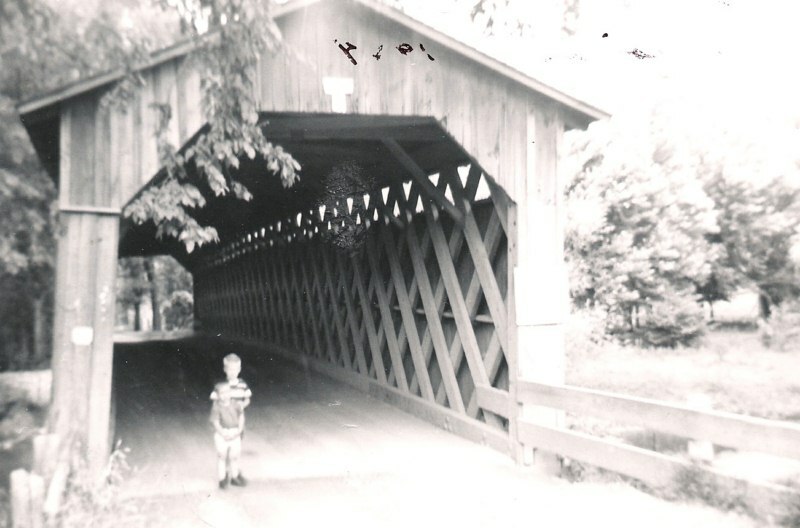 This photo is of my dad and his brother at the Covered Bridge in Cedarburg, Wisconsin. 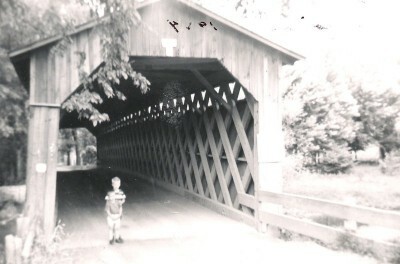 This is the now the only covered bridge left standing in Wisconsin. It looks like it was still used for vehicle traffic back then, but it is now just open for foot traffic. It’s located just north of the city on (surprise!) Covered Bridge Rd. Here is a Google Street View of it. I usually post a Weekly History on Sunday, but there were not a lot of entries for this week. I received a neat newspaper clipping from my Aunt this week that I will post instead. This is the original newspaper ad for the house/subdivision I live in now, which was originally purchased by my grandparents. Do you think if I take this ad to my mortgage company that they would match it? Hey, I’m back again. Been a bit busy and had to put genealogy on the back-burner. 1902 – Born – Agnes Irene ZALEWSKI – Agnes is my great-great-aunt on my father’s side. She was born in Milwaukee, Wisconsin to Frank & Anna ZALEWSKI. She married Chester WALCZAK in 1924. She passed away on 29 Jan 1989 at Cedarburg, Ozaukee Co., Wisconsin and is buried near the rest of her family at Holy Cross Cemetery in Milwaukee. 1908 – Died – Fredericke C HENKE – Fredericke is my 3rd-great-grandmother on my mother’s side. She was born 4 Jul 1836 in Germany and married Herman RATHKE before immigrating to Wisconsin. She passed away in Grafton, Ozaukee Co., Wisconsin and is buried at Union Cemetery in Port Washington, Ozaukee Co.
1825 – Born – Jean-Baptiste LAURENT – Jean-Baptiste is my 3rd-great-grandfather on my mother’s side. He was born at Biez, Chaumont-Gistoux, Wallon Brabant, Belgium to Constant & Marie LAURENT. He married Olivine Marie ST. LOUIS in 1857 and they had 9 children. He passed away on 31 Jul 1886 at Phlox, Langlade Co., Wisconsin and is buried nearby at St. Joseph’s Catholic Cemetery in Norwood. 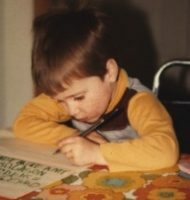 1980 – Born – ME! Happy Birthday to me! Also, Happy Birthday to my wife, Darcy in 1981. 1860 -Died – Thomas MCCANN – Thomas is my 4th-great-grandfather on my father’s side. He was born about 1797 at Longford, Ireland. 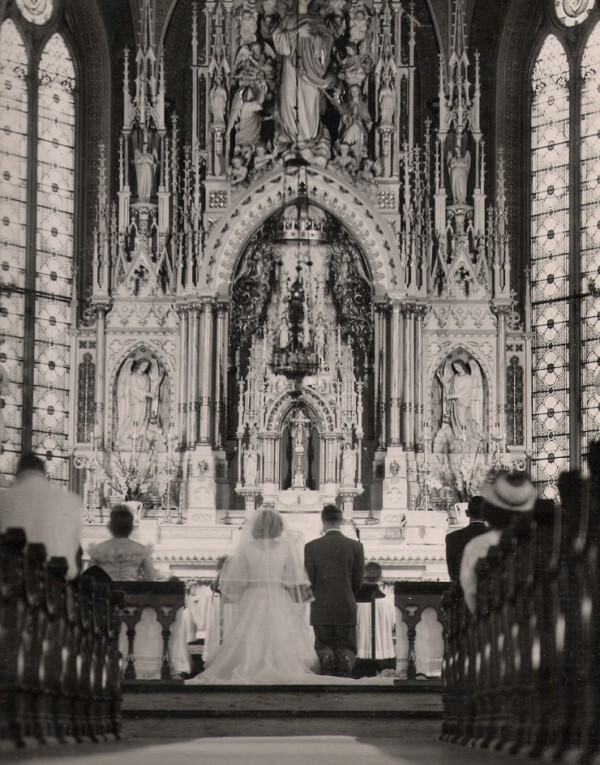 He and his wife, Mary CRONIN, immigrated to Canada with their family. He passed away at Uptergrove, Ontario, Canada. 1874 – Born – Pieter Franciscus VAN PARIJS – Also known as Peter Van Price, he is my great-great-grandfather on my mother’s side. He was born at IJzendijke, Zeeland, Netherlands to Charles & Johanna VAN PARIJS. His family immigrated to Wisconsin right after he was born. In 1895, he married Minnie M MUHM and together they had 6 children. He passed away on 22 Sep 1962 in Port Washington, Ozaukee Co., Wisconsin and is buried there at Union Cemetery. 1866 – Born – Margaret K STEARNS – Margaret is my great-great-grandmother on my father’s side. She was born in Württemberg, Germany. In 1891, she married Frank F BRAATZ, Sr. She passed away in 1943 in Ashland, Ashland Co., Wisconsin. 1832 – Died – Phillipus Jacobus Bernardus van PARIJS – Phillipus is my 5th-great-grandfather on my mother’s side. He was born on 10 Sep 1784 at Watervliet, East Flanders, Belgium. He married Anne Theresia JUNIS in 1809 and passed away at Schoondijke, Netherlands. 1857 – Born – Wilomene C RATHKE – Wilomene, also known as Minnie, is my great-great-grandmother on my mother’s side. She was born in Pommerania, Prussia. 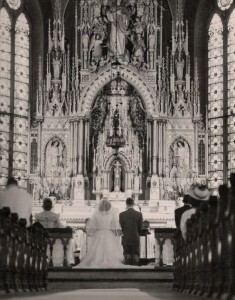 She married Johann THIELKE in 1891 in Milwaukee Co., Wisconsin. She passed away on 26 Jun 1929 in Wisconsin and is buried at St. Peter’s Cemetery in Grafton, Ozaukee Co., Wisconsin. 1639 – Born – Marguerite LANGLOIS – Marguerite is my 10th-great-grandmother on my mother’s side. She was born at Quebec, Canada. She married Paul VACHON in 1653 and had 12 children including my ancestor, Louise VACHON. She passed away on 25 Sep 1697 at Beauport, Montmorency, Canada. 1858 – Born – Frank J ZALEWSKI, Sr – Frank is my great-great-grandfather on my father’s side. He was born 4 Sep 1858 in Prussia. He married Anna LINDNER in 1883 and immigrated to America in 1889. He worked as a City Laborer most of his life, mainly in the Parks department. He passed away in Milwaukee, Wisconsin on 8 Aug 1941 and is buried there at Holy Cross Cemetery. 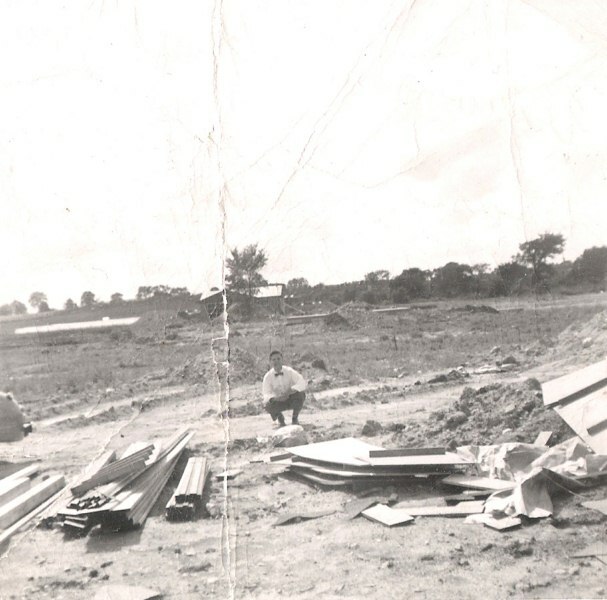 1964 – Died – Arthur Frederick THIELKE – Arthur is my great-grandfather on my mother’s side. He was born 10 Apr 1892 in Grafton, Ozaukee Co., Wisconsin. (As far as I know) the only child of Johann and Minnie (RATHKE) THIELKE. He married Madora LAST in 1919 and passed away at West Bend, Washington Co., Wisconsin. He is buried at St. Paul’s Cemetery in Grafton, Ozaukee Co., Wisconsin. I know it’s a day late. I was oot and aboot yesterday so I didn’t get a chance to write it. I went to Milwaukee’s Germanfest because I heard they have a nice area of family history stuff. They did, but unfortunately, they didn’t have any info on my family. It didn’t hurt to try. THIELKE is one of the four big surnames in my family tree along with ZALEWSKI, DEBROUX and CORRIGAN. Just like ZALEWSKI, I usually find a lot of THIELKEs when searching, even in this area, but they’re never connected as far as I know. Here is what I have so far. The furthest THIELKE I have is Henry Peter THIELKE: b. Oct 1813 in Mecklenberg, Germany. Sometime (I assume) before 1840, he married Marie D C SPECHT in Germany. 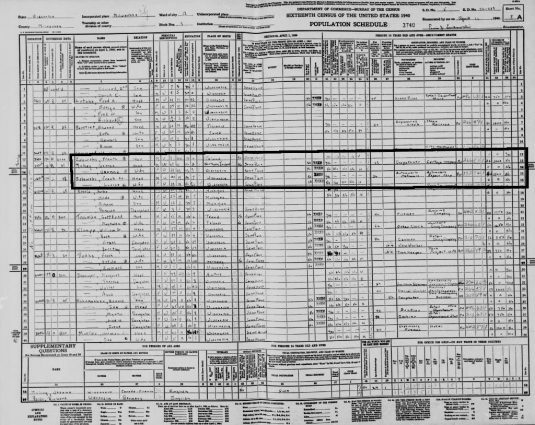 They immigrated to Wisconsin sometime between 1854 and 1856 since Charles “Fritz” THIELKE was born in Germany in 1854 and then Herman THIELKE was born 1856 in Wisconsin, according to the 1860/1870 census records. That’s about all I have on Peter and Marie THIELKE. There isn’t much more on their headstones and I can’t find any vital records for them at the Wisconsin Historical Society. I did find their burial records at the Ozaukee County Historical Society, but that just gives death dates and causes. 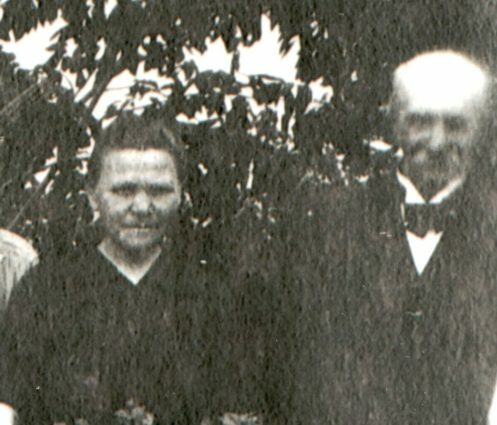 I have more information on their son Johann or Hans, who is my great-great-grandfather. He was born 26 Oct 1843 at Schwerin, Mecklenberg, Germany, which narrows down a location. Now, I don’t have a record of Johann being married until he marries my gg-grandmother, Wilomene C RATHKE on 21 Jun 1891. This would make Johann almost 50-years-old at the time. It’s not far-fetched that it’s his first marriage, but it seems strange. Wilomene was previously married to a Franz HOLZ before she married Johann. Johann and Minnie lived in the Grafton, Ozaukee Co. Wisconsin area where my great-grandfather, Arthur Frederick THIELKE was born. Arthur is the only child I have found for Johann and Minnie, but I have yet to talk to my grandfather about this. He may know more. My next steps will be to do some more direct research in the Schwerin, Germany area. Searching for THIELKE is almost as hard as finding ZALEWSKI. Here are all of the ways Johann’s name is spelled just in the census records. Johann THIELKE, John TILKIE, John TISLKE, Hans J M THIELK (marriage certificate), Joachim THIELK, John THIELKE, and Johann TIELKE. I also found Peter and Henry Peter and their last name as TILKE. Looks like today may be a THIELKE research day, since I’ve now dusted off all of the information.